As you know, Microsoft notified Windows 10 is “the last version of Windows” and explained that they will be focused on the development of powerful and new features under the guise of software updates instead of building a new version. This means there will be no Windows 11 or 12 in the future. So if you are thinking about an upgrade, this is the best time to get it. The representative of Microsoft has confirmed that Windows 10 is a free upgrade for all customers using a genuine copy of Windows 7 or higher. But this offer officially will expire on this Friday so do not hesitate to own it before it is too late. Your time is running out. After July 29, the upgrade will cost up to $119 for Home edition or $199 for Professional one. Personally, that amount of money is enough to pay my rent this month so there are no reason for me to deny that. “Do not upgrade to Windows 10”. This seems to contradict the above analysis but that is the statement of security experts. They said that Microsoft has been violating users’s privacy from collecting their personal information like gender, age, hobby and Internet habits… without your permission. The options relating to sending feedback and data to Microsoft were enabled automatically from the moment that you installed Windows 10 successfully so most people don’t know about them. However, you can disable them in Settings/Privacy easily. You can get the latest version of Windows 10 Professional here if you don’t have it already. 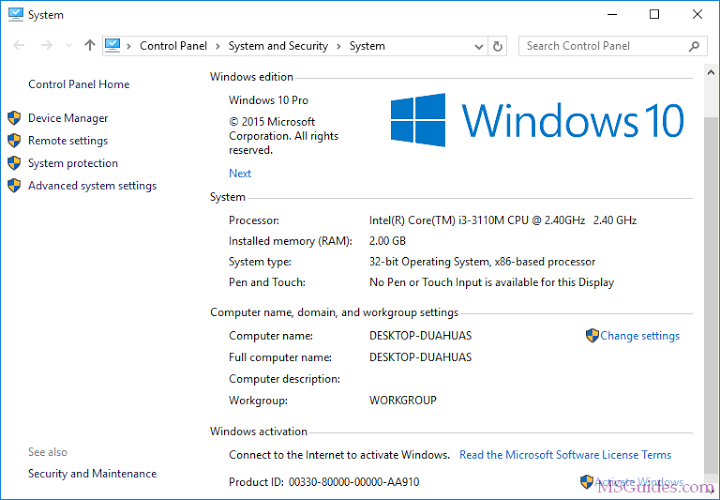 If you have ever installed any versions of Windows before, I am sure you will have no difficulty getting started with Windows 10. If you are looking to install it with an USB flash drive, please consult the video “How to create a bootable USB stick”. The following are the detailed instructions for installing Windows 10. If you are using another version of Windows, please go to Homepage and select a suitable method. Step 1: Select the right key for your Windows. Here is the list of Windows 10 volume license keys. 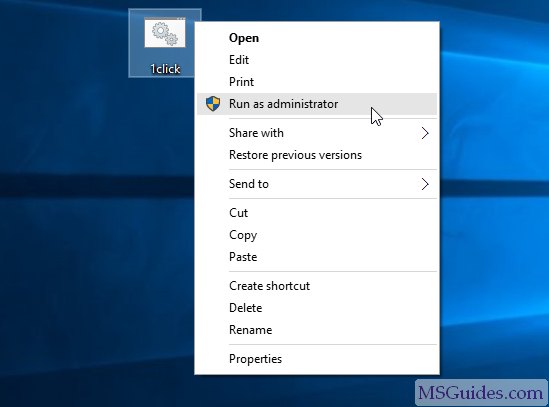 Step 2: Right-click on the start button and open Command Prompt (Admin). Step 3: Use the command “slmgr /ipk yourlicensekey” to install a license key (yourlicensekey is the activation key you got above). 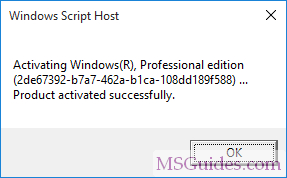 Step 4: Use the command “slmgr /skms kms8.msguides.com” to connect to my KMS server. 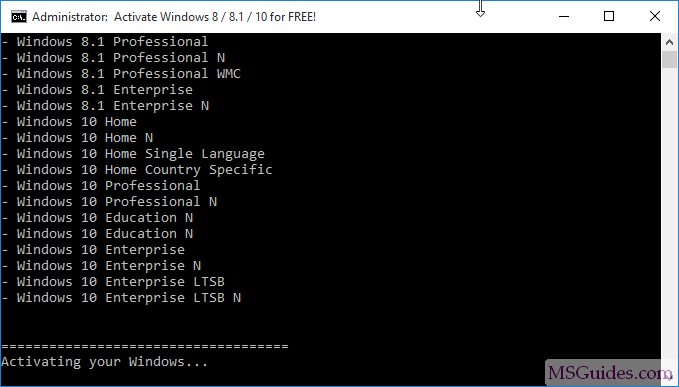 Step 5: The last step is to activate your Windows using the command “slmgr /ato”. 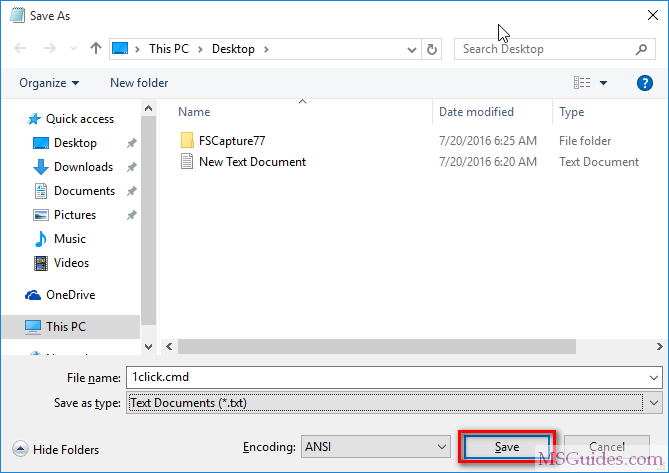 Step 1: Copy the following code into a new text document. 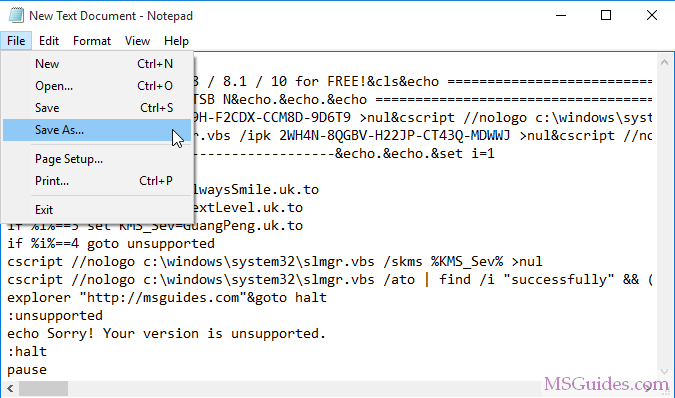 cscript //nologo slmgr.vbs /skms %KMS_Sev%:1688 >nul&echo ============================================================================&echo.&echo. Create a new text document. Note: If you guys see three times the same error message saying that the connection to KMS server was unsuccessful, please read this post. you guys rock it, will there be any problems in the future? God know. Come out any question about KMS activation, come back to ask. I have tried it but I ge a message that my version is not supported. 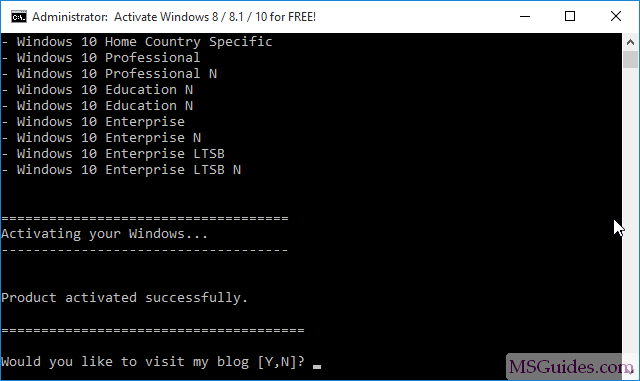 Command Prompt activation method must run by admin Id right without restriction online, otherwise will come up all kind of error. Admin ID right must without restriction, otherwise fail is the only result. Create a new amin ID, without change any setting, try activate again. Activation will through KMS Server. It will automatic activate back to 180 days every seventh days when you online. Update is from Microsoft as retail version. You browsing online every day, click in any web page, download any free music, video, software has risk hacking by hacker to steal your belonging such as credit card detail etc. So must install firewall on PC to protect all solve of hacking. When I use this web site activation method, I’m not getting any warning message from my firewall. It is safe to use. Thank you. The activation worked. It was very easy to follow. 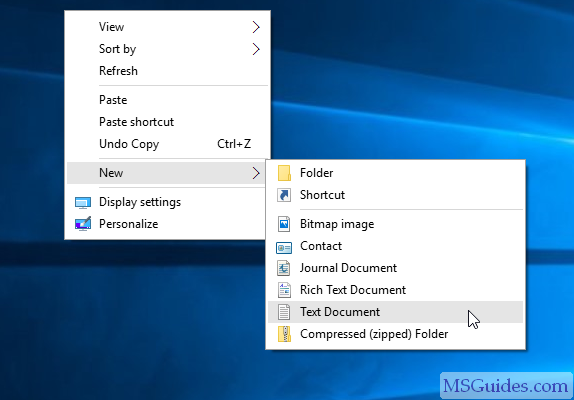 How to download Window 10 Pro. The downloaded iso is windows 10 home. Download Tool, run it, choose Windows 10 Pro to save On DVD or USB. After years of Linux at home, I had to install a Windows 10 for work, but your activation worked on first time! Kudos to you and keep up the good work! Hello Dear Guang and team! Id like to thank you all, used the manual method and after some runabouts I was able to activate Win10 pro. I was between a rock and a hard place just as my finals were coming close and my old desktop just gave up on me. I’m a IT student and I just hope I can be as good as you guys are. Thank you ! keep on the good work. **sorry if my english is weird, not a native speaker.